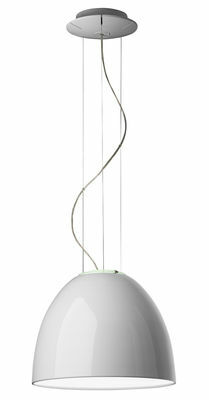 Suspension lamp. A new perfectly smooth and polished finish gives elegance to the classic Nur model. Available in halogen, fluorescent and metal halide versions. All the versions are encased in a diffuser at the bottom. 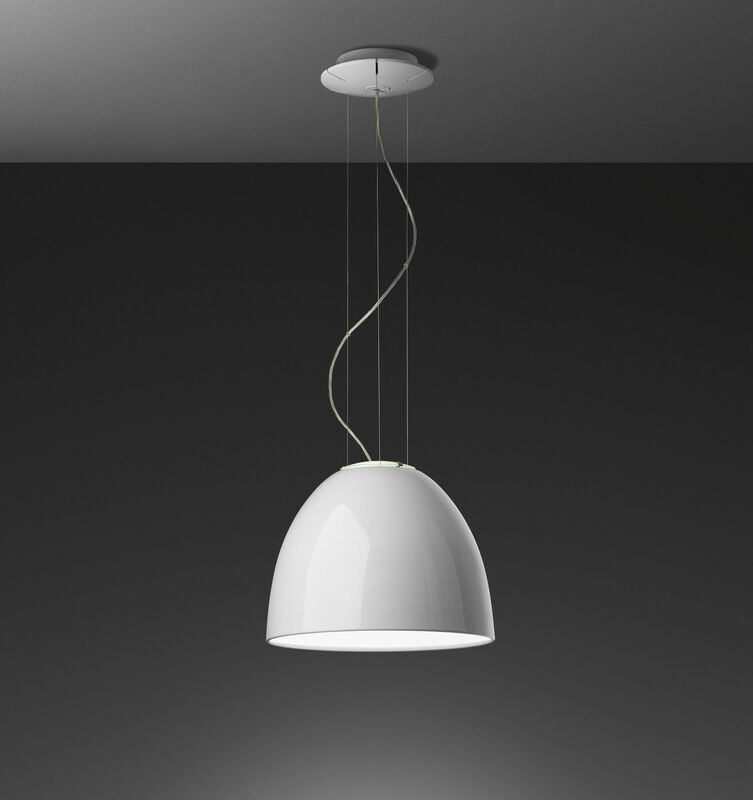 Materials: painted aluminium body lamp, diffuser in thermoplastic material, upper cap in borosilicate transparent glass. Colours: polished white, polished black. Light emission: direct and indirect.